Brockhampton is an all-American boyband, just without the frosted tips and synchronized choreography. They love sweaty and grimy mosh pits where hyped-up fans show how they can keep up with the best of ‘em, and the DIY spirit that brought the group together in the first place. The video is directed by Abstract, and like much of the band’s media, it shows off that DIY spirit they hold near and dear. This time around, however, it seems like the budget got a push in the right direction. The video is presented in widescreen with pixelated censors and fisheye lenses. In it, we see Matt Champion faceplant while bombing a hill on his skateboard, a purple-haired Joba rapping like a kid who’s eaten too much sugar and Dom McLennon having a solo dance party against an all-white backdrop. Because they exude endless creative energy, Brockhampton season is never really over. 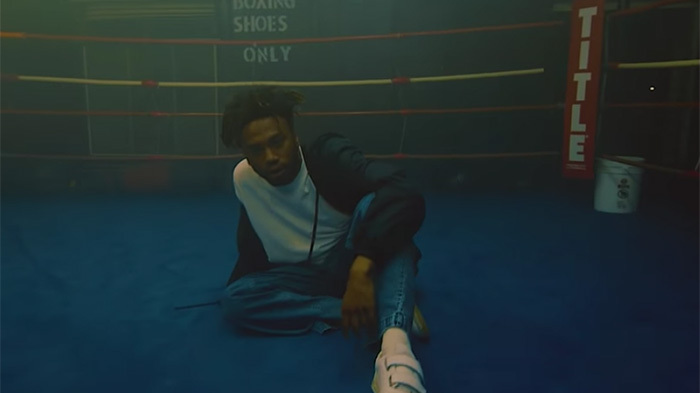 A few weeks ago, the group debuted their first single since Ameer Vann parted ways with Brockhampton over sexual assault allegations, “Tonya,” on The Tonight Show Starring Jimmy Fallon. There’s still no word on when the hip-hop collective’s next album The Best Years Of Our Lives might come out, but we’re assuming these three tracks will be on them—either that or they’re just incredibly polished singles with which the best boyband since One Direction has gifted us. Watch the videos for “1998 Truman” and “1999 Wildfire” below.